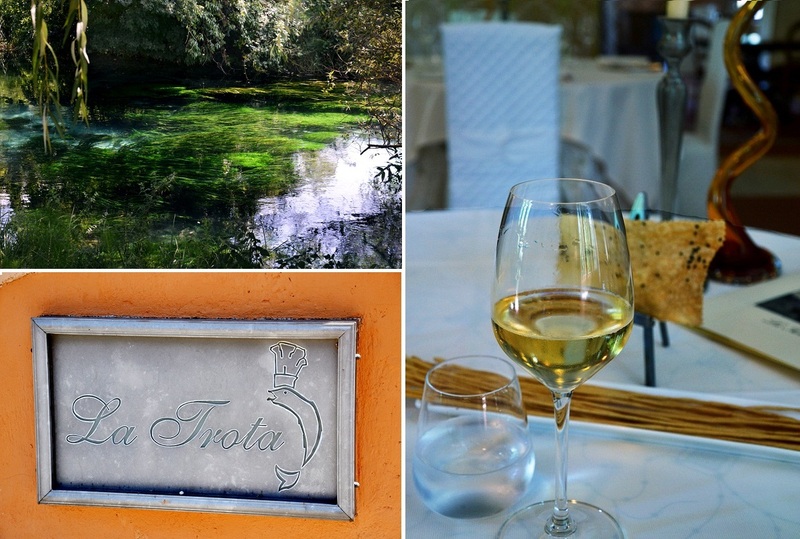 La Trota, located about 136 km Northeast of Rome, has become a point of reference for many gourmands living in the Lazio region, as well as in Italy. 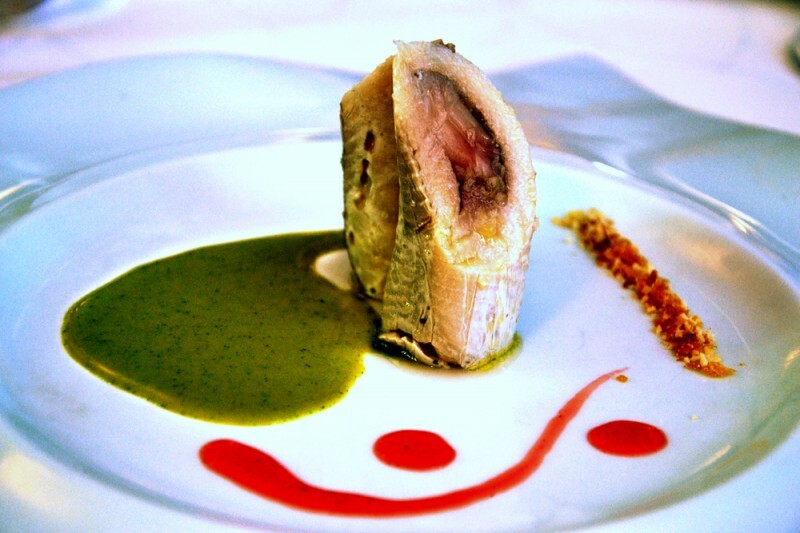 Being voted as the best place specializing in river fish (by renowned gastronomic critics) in Italy and with excellent reviews on Tripadvisor, la Trota is a family owned restaurant wisely run by the Serva brothers – Maurizio (who is in charge of the dining area), and Sandro (who is the Executive Chef). The key to their success is simple – a passion for their territory produce because – above all – food is culture – and this is what makes this place so special. 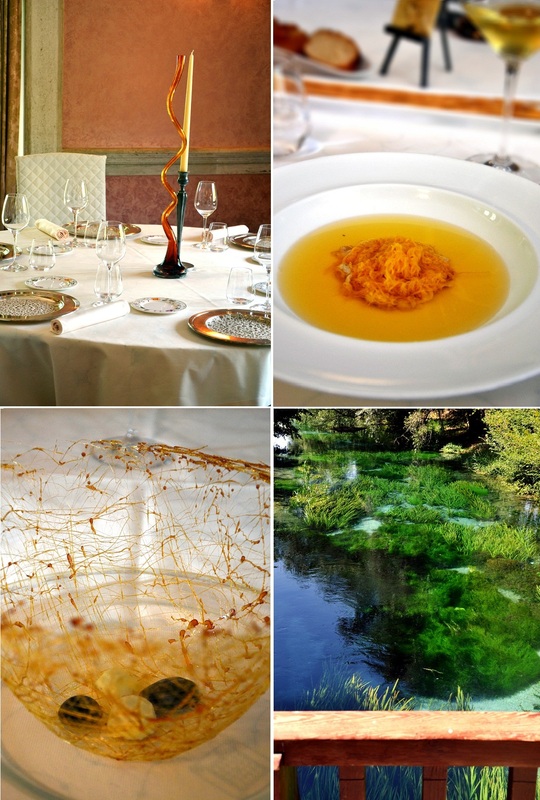 Moreover, the courage to open a haute cuisine spot in a 100 people village about 85 miles from Rome, is a living proof of how serious and attached they are to their roots. In our case, the 85 mile trip was worthwhile. While tasting the different entrées, we wouldn’t say a word due to our concentration in eating all the delicious food–Shhhh!…. We were “Silenced by The Trout”…. Thank you it looks and it was delicious! Thank you Celi! The pics speak for themselves…don’t they?! 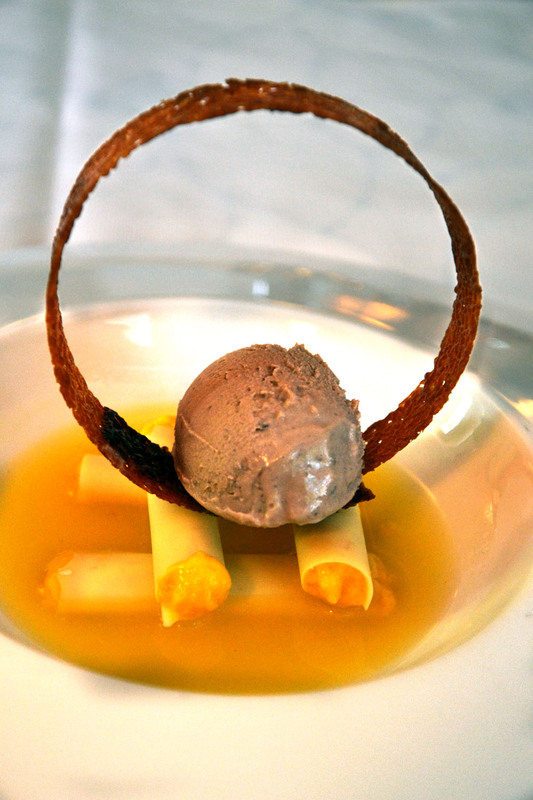 Fantastic flavour combinations and a beautiful restaurant too that you have captured really well.. This gets added to the long, long list of restaurants to go eat at. Hi there! I was just browsing through your amazing blog! I am very glad you liked it, and judging from your lovely posts, I have no doubt you will appreciate it! 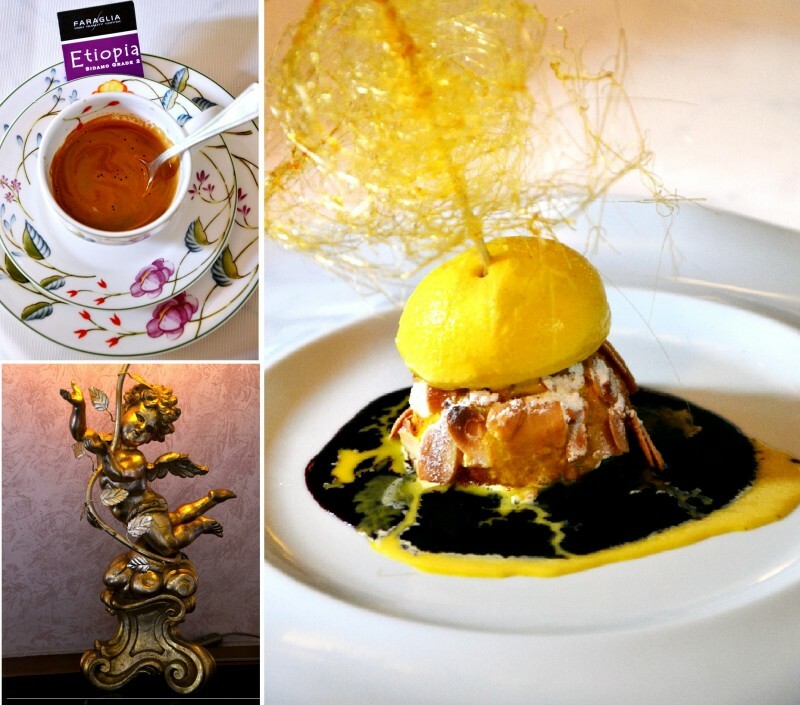 These dishes are more art than nourishment, Ambrosiana. So incredibly presented! I bet the wait staff spends time going from table to table, reminding patrons that they are supposed to eat as well as admire the plate before them. Absolutely stunning. Silenced, indeed! Thank you for sharing these remarkable creations with us. Hi John! Indeed, when they brought your dishes to our table, we were silenced admiring the platings, and we were also regretting to eat them (in a way) since the dishes were so beautifully plated! What a wonderful location. 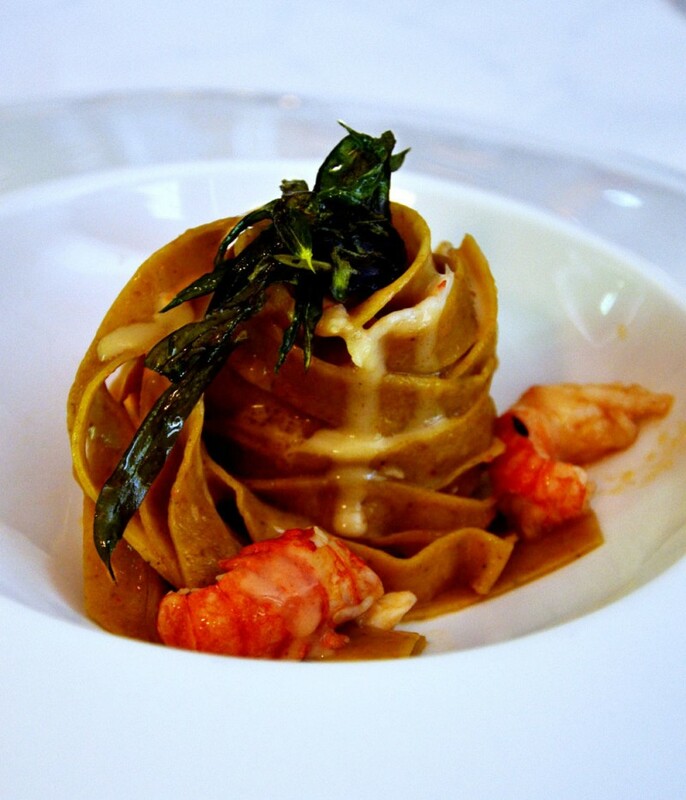 The dessicated shrimp pasta got my attention – I also serve pasta like that ever since your visit! Nicely written post – I’d be happy driving through Italy listening to Keane. Hi Roger! I knew it! Isn’t this plating wonderful? You should have listened to Mr. Serva’s explanation on the essication of the shrimp! That is when you understand their passion about food! …..by the way, the pictures are terrific. Thank you Roger! Your compliments always mean a lot to me! The food looks wonderful! I especially like the carp with poppy seeds! That was actually the dish that impresse me the most! 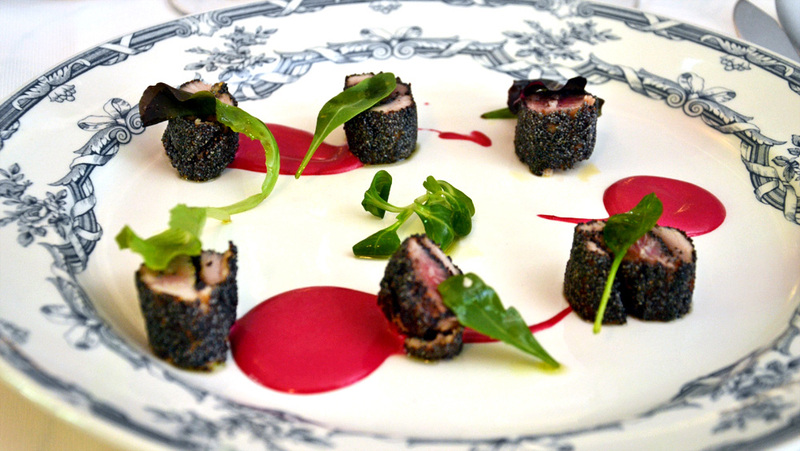 The beet potato mayonnaise with the carp and the poppy seeds was just outstanding. Everything looks spectacular !! Que envidia poder comer tan rico!! Great pictures too!! Lovely photos and it looks like a fantastic place to eat. Thank you! It was definitely a special place! You are total right! 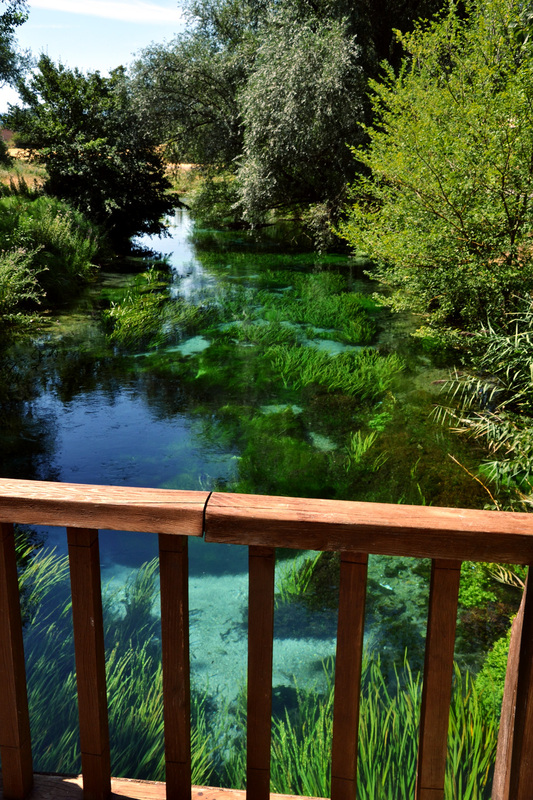 I couldn’t stop looking at the clear waters…it blew me! Thank you for you kind comment! Unbelievably beautiful food served in a gorgeous spot. Wish the restaurant wasn’t thousands of miles away or I would be making a reservation. Hi! Thank you! In this post I took the pictures of the restaurant’s dishes. In my last post about zucchini, I took pictures of the food I prepared. Well you are just so fancy for that! Lol kudos to you!! Great talent! I was taken by each and every picture. From the breathtaking views to the sinfully presented desserts! 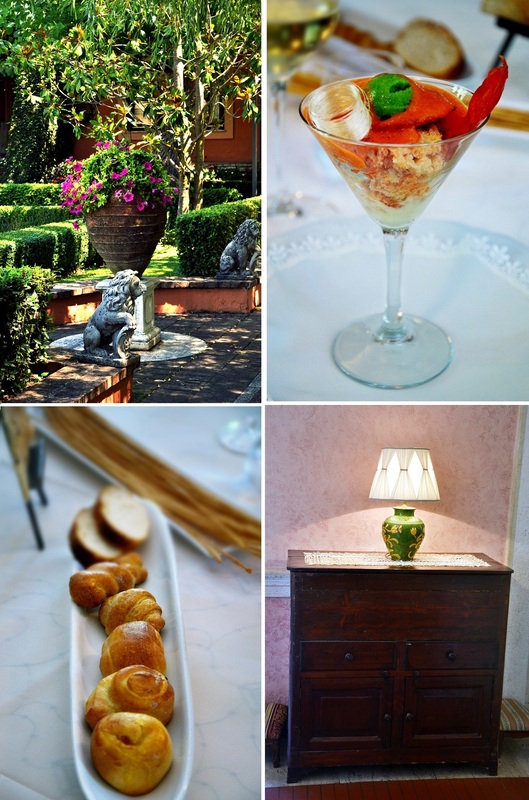 Traveling to Italy is on my dream list, just knowing where to start will be the hardest part! So many interesting places and soo many different food choices!! In fact, Italy, wherever you go, is an amazing country. It has everything: gorgeous cities, wonderful seaside, stunning mountains, a breathtaking countryside. The only thing Italy is missing is the desert. It will be very hard to decide where to start at! very late, ridiculously late with this comment, but i only now discovered the post! so very beautifully captured….such a hush and calm…such peaceful exquisiteness.